Sump pumps need preventative maintenance to continue running smoothly and efficiently. This machine assists the drainage system by removing liquids to help in preventing flooding and other high water issues. When this system is not used often, you need to have maintenance done about every five years, but if you use it often or live in an area that is not good for this type of pump, such as somewhere with a lot of mud or sand, the maintenance should be done at least every year. 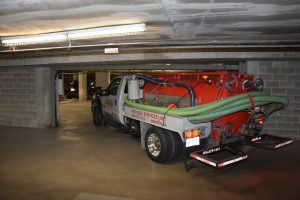 The maintenance you have done on your sump pump and catch basin is to ensure that all gravel, dirt, and sand are properly and thoroughly cleaned out. If you let these things build up they can end up in the sump pit and can break the pump or cause clogging. It is important to have maintenance done so that clogs are not able to form and start causing problems. 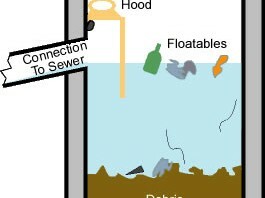 When you have a clog there is a risk that the house will become completely flooded and the sump pump motor burned out. In this type of scenario, you may not even be able to get to the pump and the problems will just continue to compound. 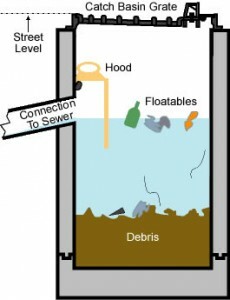 It is important to choose a reputable company that will completely and efficiently remove sand and debris and the water from your culverts, sanitary and storm pump stations, sumps, and catch basins, according to EdenFlo. When the work is done right you can rest assured that you should not experience issues like clogs so that your system will continue to work effectively and not cause you any problems or hassles. This entry was posted in Catch Basin Cleaning and tagged Abbotsford catch basin cleaning, Aldergrove catch basin cleaning, BC catch basin cleaning, catch basin cleaning BC, Catch Basin cleaning Surrey, Delta Catch Basin Cleaning, edenflo pump truck services, Vancouver Catch Basin Cleaning on August 14, 2013 by Edenflo.